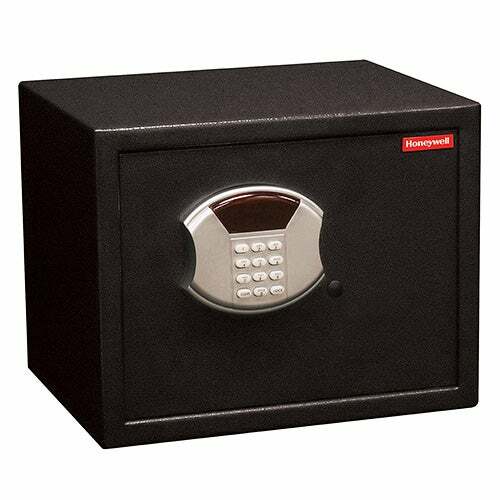 Honeywell Model 5103 Steel Security Safe, .83 cubic feet storage capacity, programmable digital entry, motorized door lock, LED readout, concealed hinges, recessed door and rear panel to prevent prying which gives you additional protection against theft. 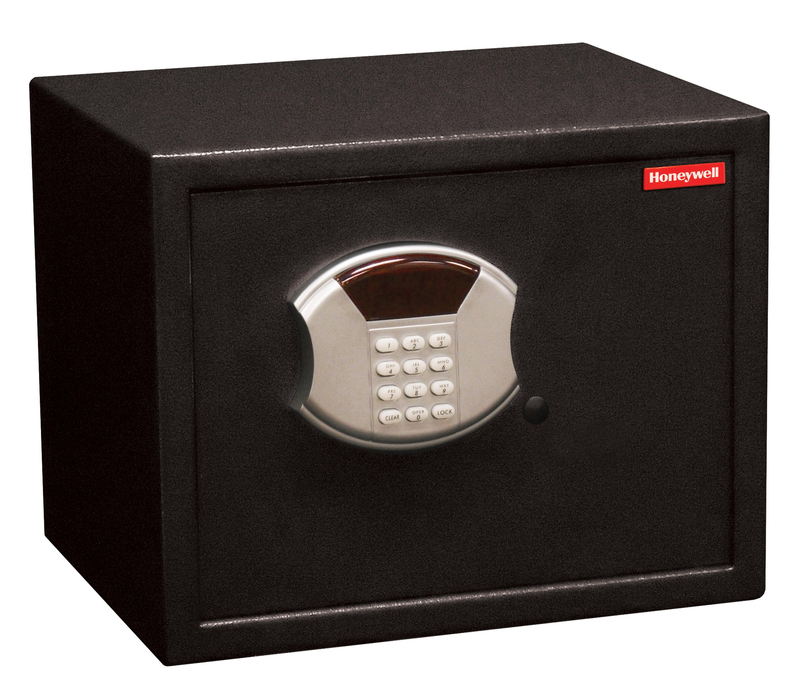 The Honeywell safe product line provides safety and security for your essential documents and most valuable possessions while affording you the peace of mind that comes from being prepared in the event of a disaster, fire, or an invasion of your home or office. Includes mounting kit, adjustable shelf and four (4) AA batteries.